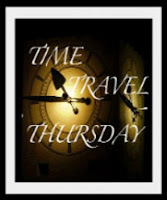 Welcome to the 90th Time Travel Thursday linky party at The Brambleberry Cottage! some of our talented time travelers from last week first. 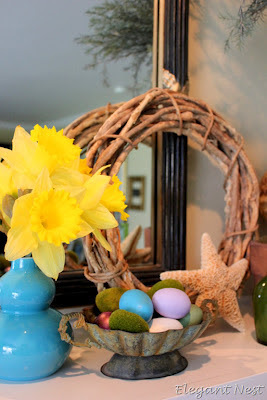 Spring has sprung all over Blogland. how much color has burst onto the scene. @ Ruby Jean, my jaw practically hit the floor! This is, by far, one of the prettiest work spaces I've ever seen. 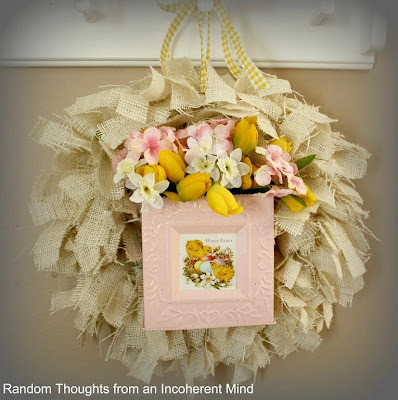 one of her lovely spring vignettes. We're all familiar with the versatility of burlap. create this charming spring wreath. she was kind enough to share her how-tos. is that they infuse their surroundings with such sunny brilliance. their vibrant pop of color brought the whole vignette to life. just follow the lead of Mary @ Mary's Meanderings. and center, where they can be enjoyed every day. Thanks so much for featuring me, Liz. Thanks again for hosting! Thanks Liz! 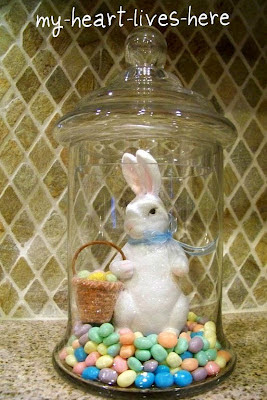 The poor bunny is hoping I go buy some more jelly beans because my teenagers did discover that they were real candy. 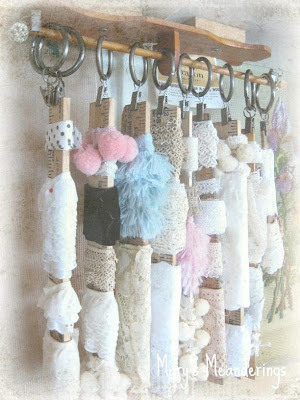 Thank you so much for featuring my lace and ribbon organizer!! That is so much fun to see it featured! Have been busy with feeding boys who are working on our house so don't have anything new to link up this week but look forward to all the the inspirations linking up this week here. Thanks so much for hosting again this week, Liz! It's always a pleasure having a party here! Thanks for the feature Liz! I always love to bring a little of the outside in when decorating. Now that my daffodils have waned...I am just waiting for my iris garden to explode so I can fill more vases! Great pictures and what a great idea! 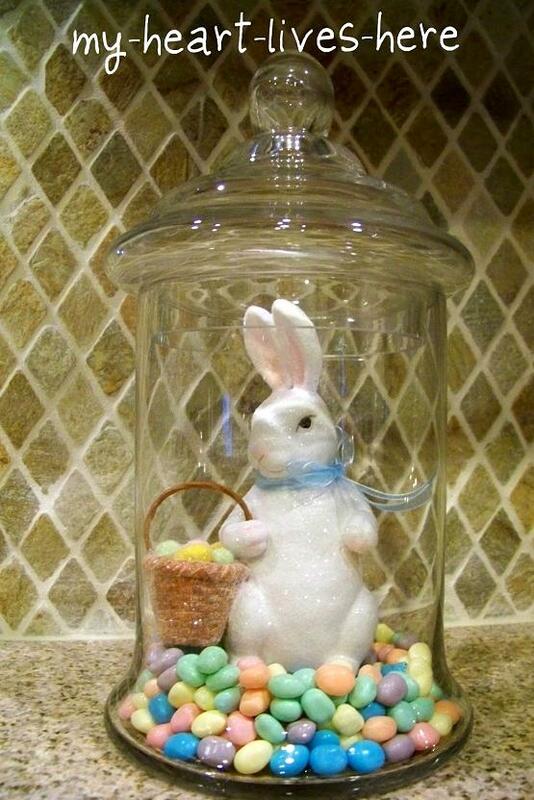 I love all the Springy Easter themed features. I think Easter/Spring is my fav season. It's such a hoeful full of life time! Thanks for hosting and have a great day! Thank you for hosting. Always a pleasure to join in. Hi Liz! Thank you for another great party! Thank you so much for hosting Liz. 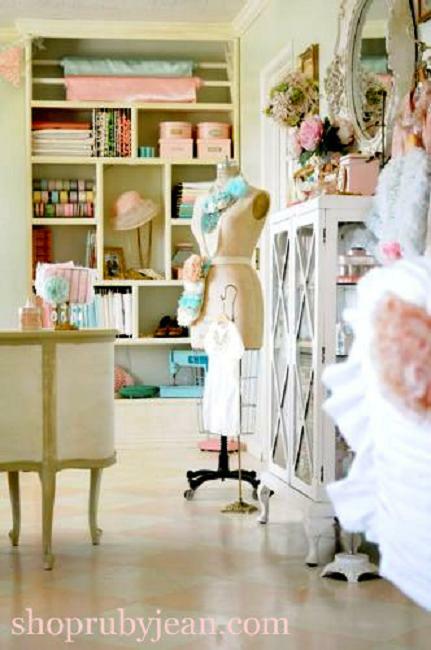 The sewing room is amazing. I also love the wreath. I may have to try that one. 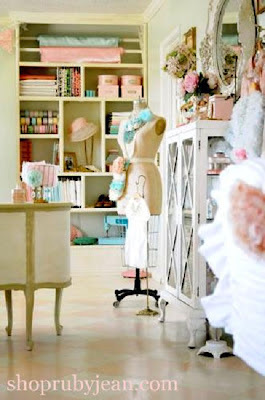 Oh I agree that sewing room is amazing!